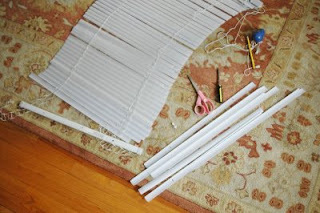 Julie Dawkins Family: Cheap Window Fabric Blinds, Easy! I must try this project this week. No kidding. Our backdoor is actually a wood door with a full glass enclosure that is not standard. 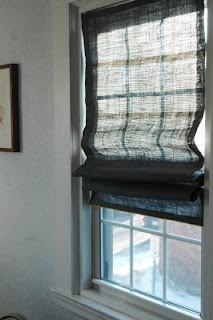 Lately I hang up wooden blinds at night and take the whole thing down in the morning. I have been looking for a solution the entire two years we have lived in this house and I think this may be it! I am so excited. I will post what I do when I finish; the hard part will be choosing the fabric. 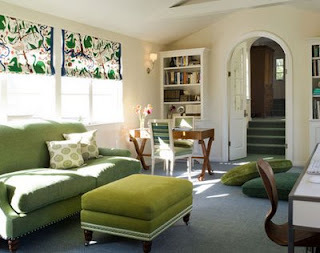 Here is a free tutorial from Pearl Street Interiors.